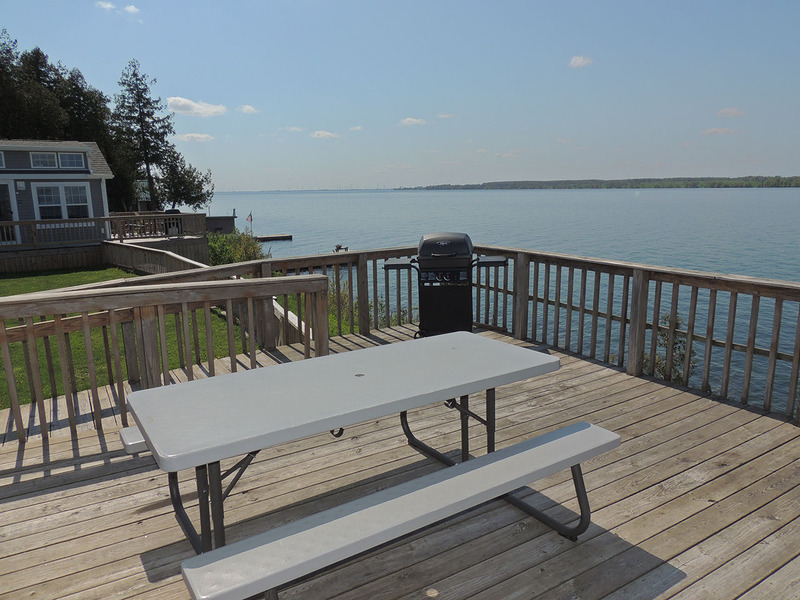 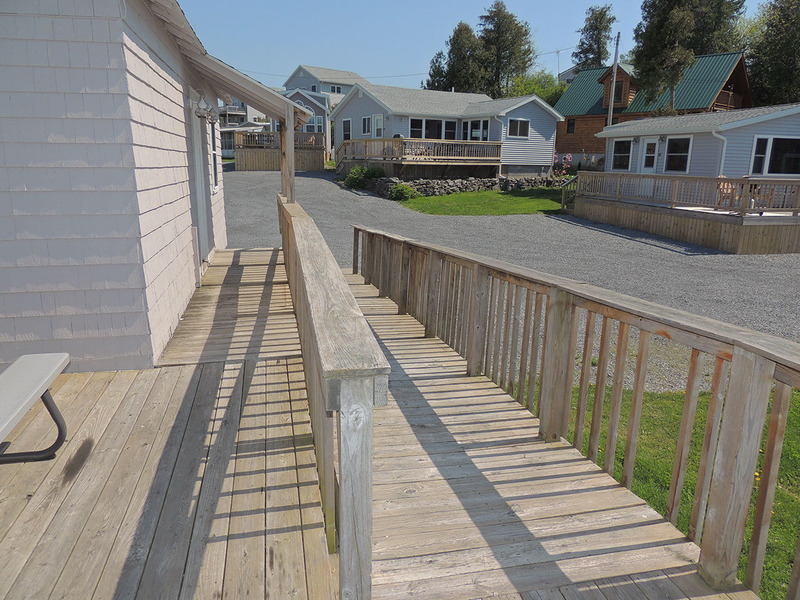 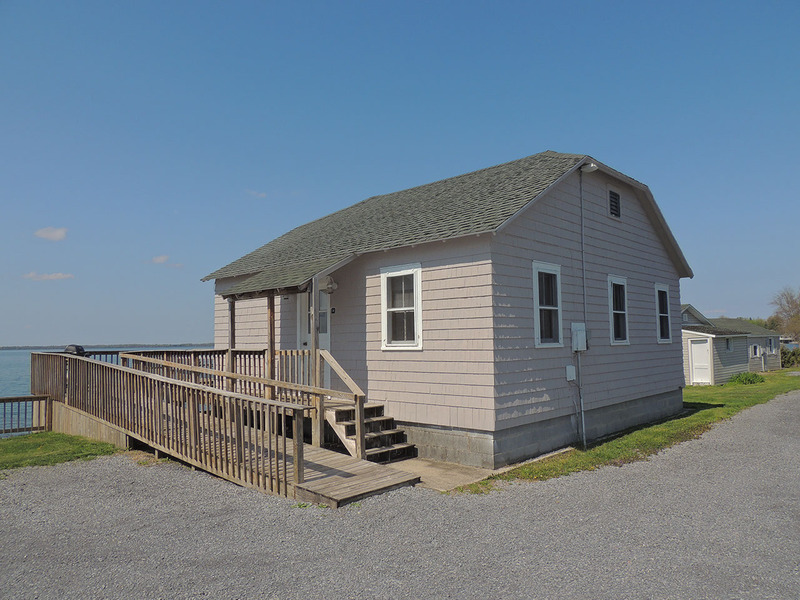 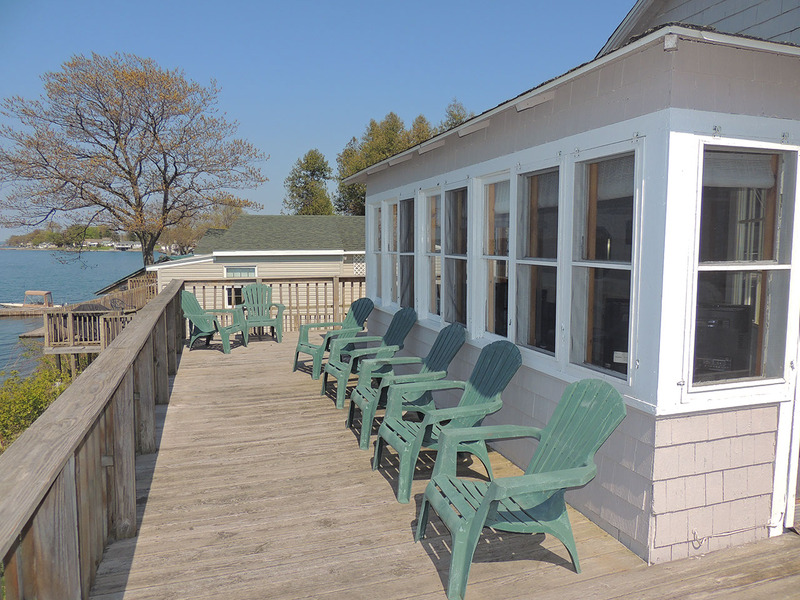 This wheel chair accessible (not fully ADA) cottage is located directly on the water’s edge and offers incredible views from inside and from the large wrap around deck. 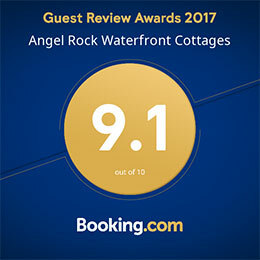 It has not yet been renovated “angel rock” style and is therefore a little more cottage-like than most of our rentals. 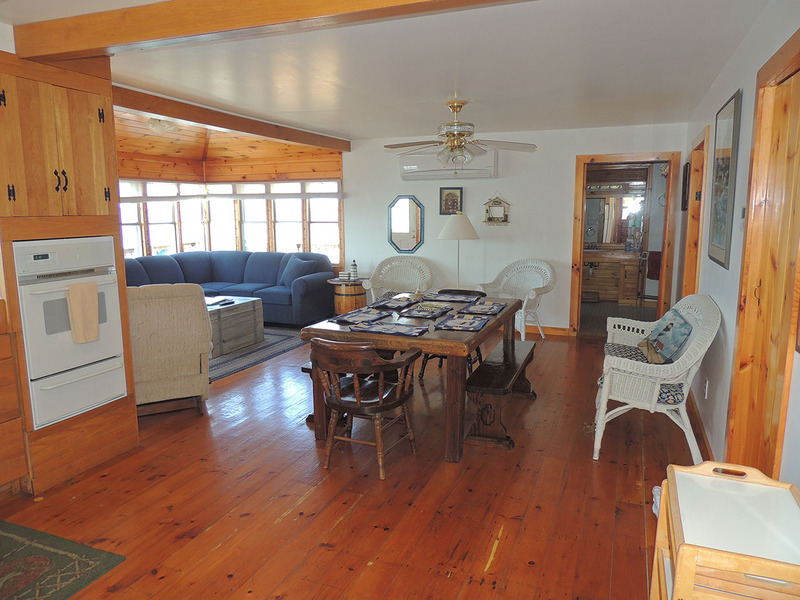 It features an open floor plan that includes a full kitchen and windowed living area. 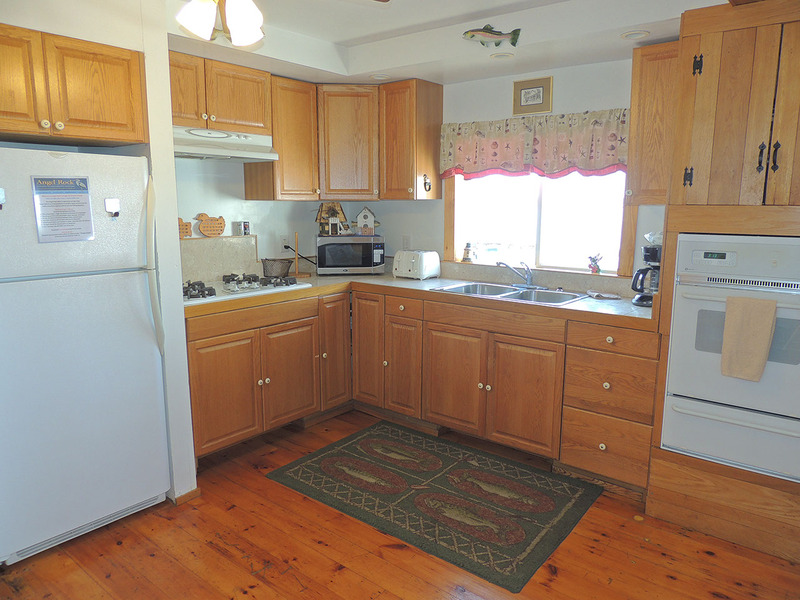 The kitchen comes fully stocked with dishes, silverware, refrigerator, stove top and oven, microwave, pots and pans, coffee pot, and toaster. 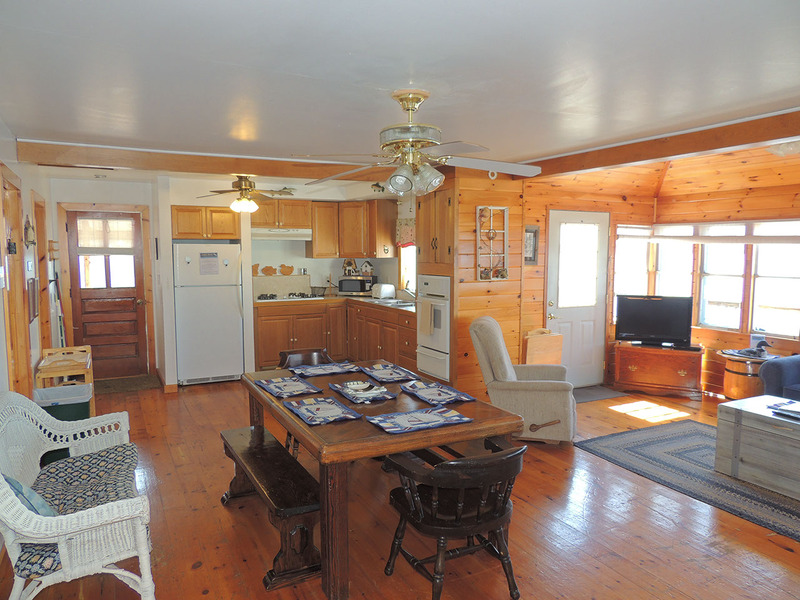 A unique feature of this cottage is the cabinets beneath both the stove and sink that open with space to roll a wheel chair underneath. 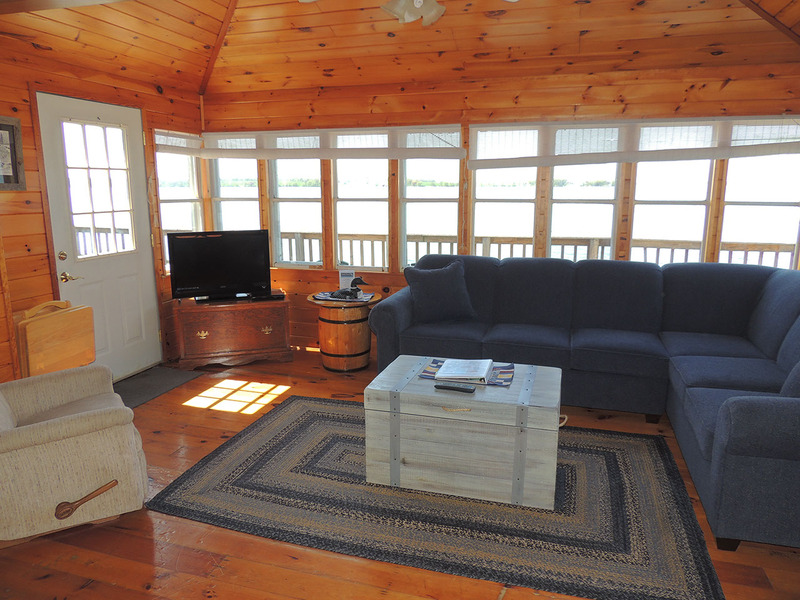 The dining and living area both offer beautiful views of the river and contain a large dining table and ample seating area in the living room with a pull out sofa. 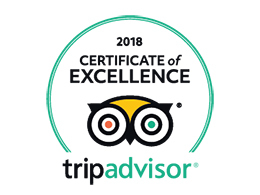 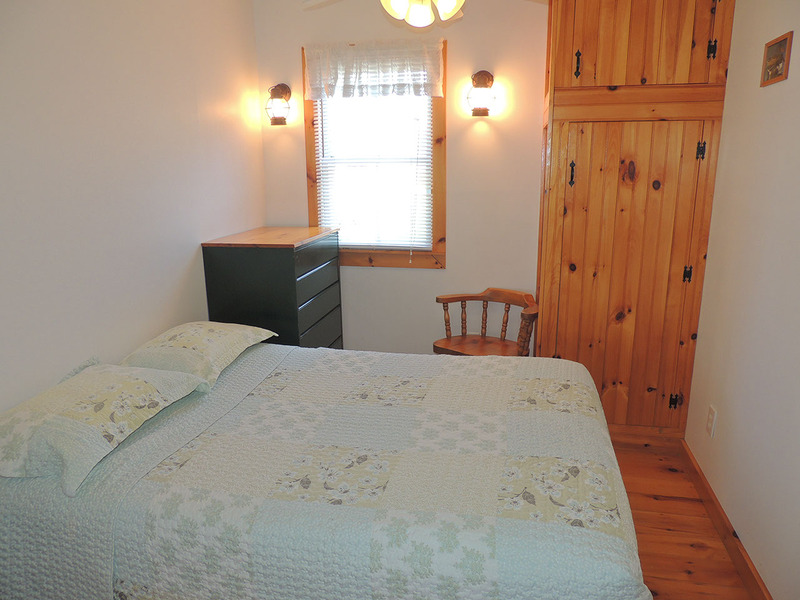 Two of the three bedrooms come with a full sized bed, with one containing a queen sized bed, and built in cabinets in all for storing your belongings during your stay. 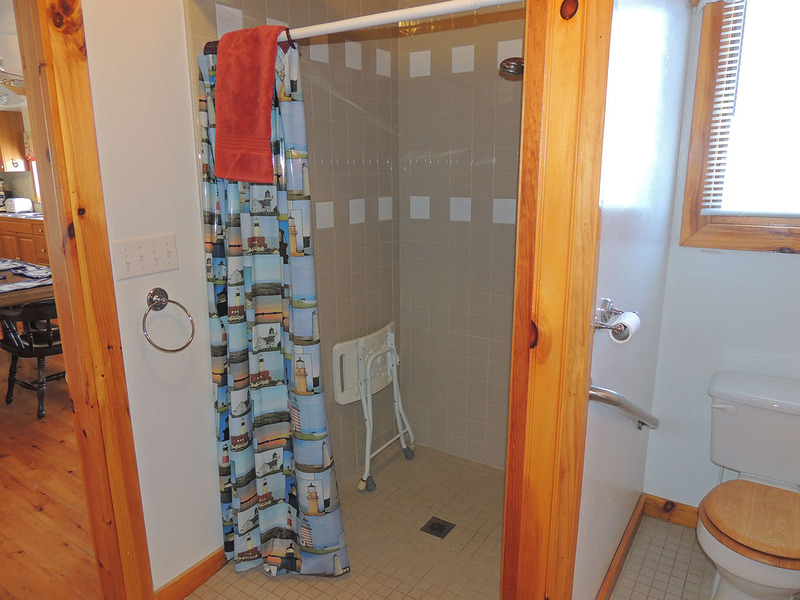 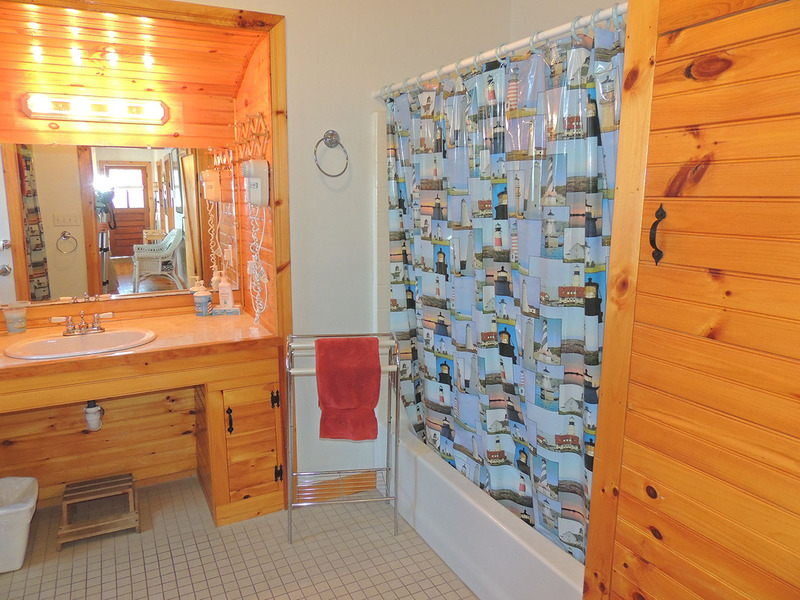 The bathroom has both a handicap accessible roll-in shower and a full sized tub shower. 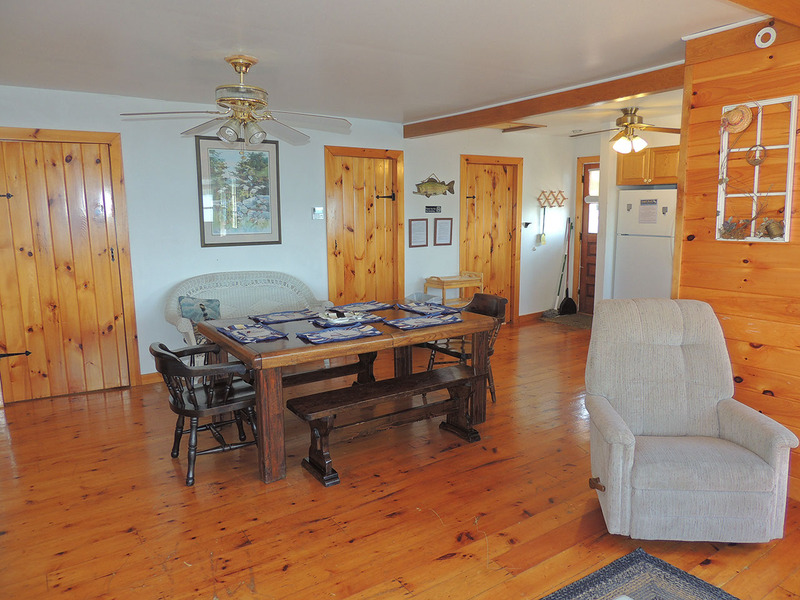 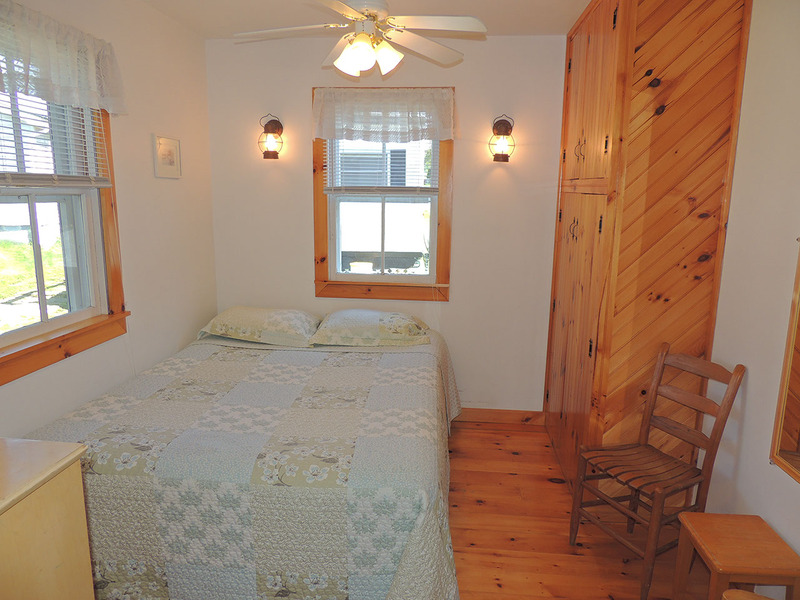 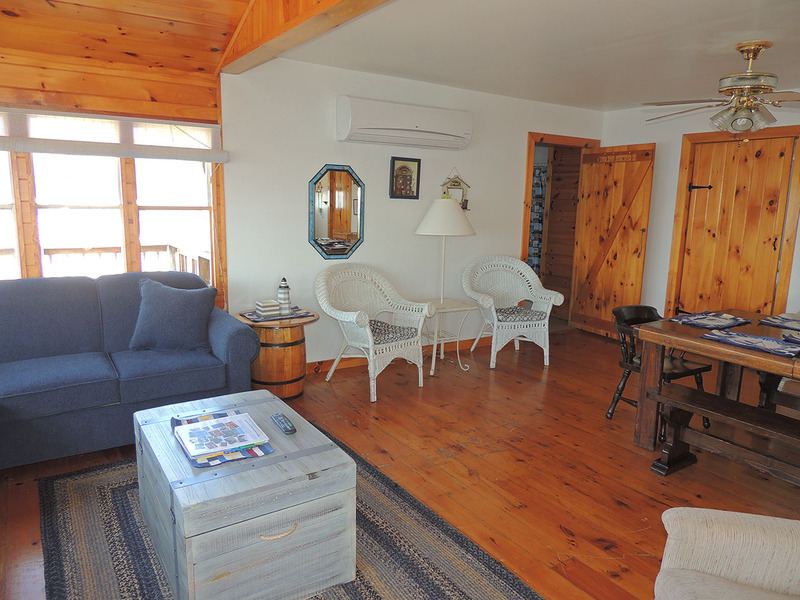 This cottage offers wireless internet access, television with cable service, air conditioning and heat. 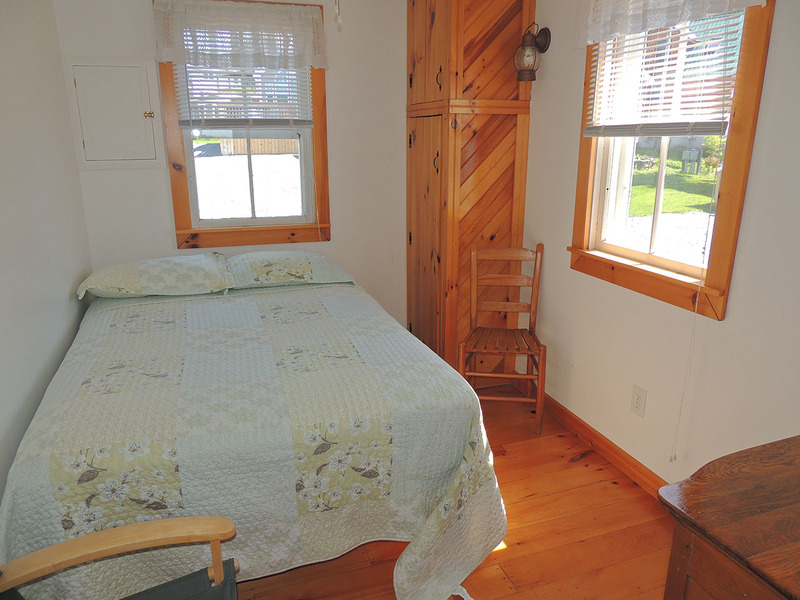 It is best suited for up to 6 people, with a maximum of 8.